Joel Woellner's clean lines, strong elevation and crisply executed turns always make him a pleasure to watch. Photo: David Kelly. La Bayadère, although a staple of both the Bolshoi and Kirov repertoires, is relatively unfamiliar to many in the West. First staged in its entirety by Natalia Makarova in 1980, for the American Ballet Theatre, it is traditionally a ballet for large companies, with an unwieldy plot, set in an imaginary India. Choreographer Greg Horsman, wanting to situate the story more realistically, has shifted it to the nineteenth century India of the British Raj. 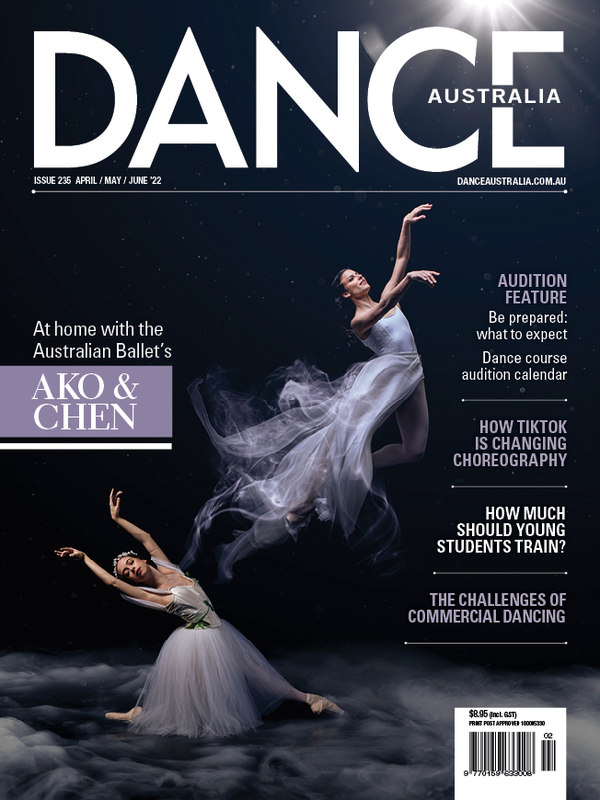 He has also streamlined the story, making it more believable and achievable for the smaller sized Queensland Ballet. Solor is now a prince, the son of the Maharajah, in love with Nikiya, (the bayadère, or temple dancer), but betrothed to Edith (formerly Gamzatti), the daughter of the Governor General, as part of a treaty to end hostilities. The extraneous love interest of the High Brahmin for Nikiya has been dispensed with. Thus we have a traditional love triangle, which as often is the case, ends in tragedy. Dramatically it works. In transplanting the story to the period of the British Raj, Horseman has also given himself scope to explore those contemporary tensions of cultural identity, which add subliminal layers to the drama and to the characterisations of the key protagonists. The ballet is carefully crafted, technically and dramatically, while sumptuous costumes in silks and brocades, and a magnificent set signifying key architectural elements of nineteenth century India, (both designed by Gary Harris) guarantee a visual lushness. Horsman has kept the key choreographic elements, particularly the iconic Kingdom of the Shades. Considered to be one of Petipa’s masterpieces of choreography, and a measure of the unity, strength and finesse of a company’s corps, this scene, done well, is one of the most sublime moments in classical ballet. The Shades, (ghosts of dead bayadères,) appear en file against a huge moon in a starlit sky, descending via ramps, in a hypnotic repetition of extended arabesques en fondu and sweeping ports de bras. On opening night this scene was magical and despite a couple of nervous wobbles, the company danced as one. Neneka Yoshida, Lucy Green and Laura Hidalgo also gave accomplished performances of the three challenging variations. Stylish differences in the tutus, which had the midriffs and legs bare, did however, dilute that mesmeric cloud-like effect traditionally created by a mass of white costuming. A faultless performance: Yanela Pinera as Nikiya. Photo: David Kelly. Yanela Piñera, as Nikiya, gave a faultless performance. Her balances were extraordinary, both in arabesque and turns, in a technique that dazzled. Moreover she delivered a finely nuanced interpretation of the doomed bayadère, tragically in love. Her pas de deux with Joel Woellner as Solor were also convincingly passionate. Woellner too, was believable as Prince Solor, torn between his sense of duty and love – the conflict between caste and race also clearly articulated. Technically assured, Woellner’s clean lines, strong elevation and crisply executed turns always make him a pleasure to watch. Company artist Georgia Swan gave a dramatically convincing portrayal of Edith. (Could a name more evocatively convey the stitched up conservatism of the Victorian era?) She was both impetuous, and spoilt, but also showed vulnerability in her failed relationship with Solor. Technically accomplished, Swan is one to watch out for. Camilo Ramos, as the Lead Temple Dancer, performed the challenging Golden Idol solo with the necessary crisp articulation. Photo: David Kelly. Camilo Ramos, as the Lead Temple Dancer, performed the challenging Golden Idol solo with the necessary crisp articulation, while dramatic gravitas was delivered aplenty by Vito Bernasconi as the Governor General, and Victor Estévez as the Maharajah. Musical director Nigel Gaynor has reworked the Minkus score in parts to more accurately reflect the sound palate of the East, and created new music for the work’s dramatic conclusion. Performed by the Queensland Symphony Orchestra it was a rich component of the ballet, despite some rusty moments from the horn section. Such minor blemishes, along with technical problems, like noisy scene changes, will no doubt have already been eradicated from what was otherwise a gem of a ballet. La Bayadère plays QPAC until March 31.